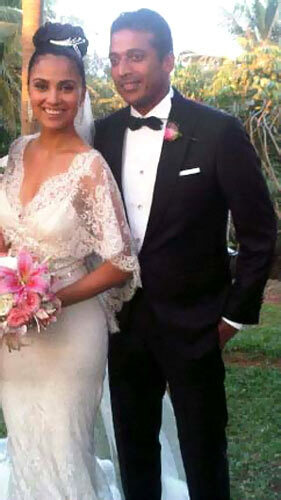 Lara Dutta and tennis star Mahesh Bhupati exchanged wedding vows in Victorian style at the sunset point of the erstwhile Portuguese fort of Aguada in Goa on Saturday. 'We had a memorable time at the wedding. Looking forward to the rest of our lives together,' the celebrity couple said in their message after the wedding. The former Miss Universe wore a white gown while Mahesh was in a black suit, the sources said. Bhupati, 36, and Lara, 32, had a specially decorated shamiana set up for them on the premises of a five-star hotel near the Candolim beach on the 16th century fort. The wedding was out of bounds for the media, but sources said it was a grand affair. 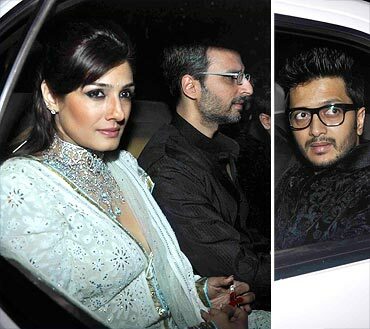 Riteish Deshmukh, Raveena Tandon (who came with film distributor husband Anil Thadani), Dia Mirza, Priyanka Chopra, Celina Jaitley and Boman Irani and designers Wendell Rodricks and fashion model Sheetal Malhar were among 200 invitees who attended the wedding. From the tennis field, Rohan Bopanna and Leander Paes, along with wife Rhea Pillai, were among the invitees. 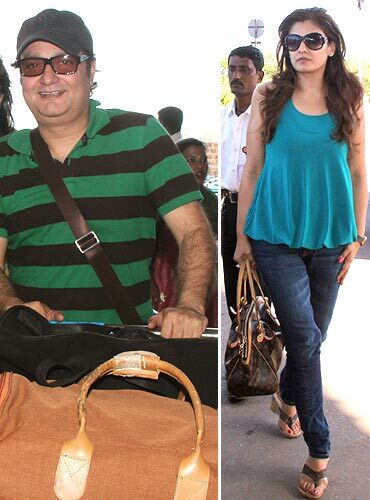 The couple, after registering their marriage in Mumbai, had flown to Goa, where they had a sangeet at Club Fresh, a hang-out place on the Candolim beach. The sangeet was an all-night affair, as Lara and Mahesh jived to some recent Bollywood numbers. 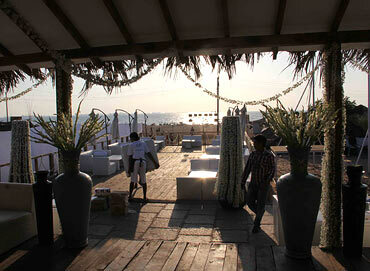 The five-star resort hosting the wedding has offered a menu of Goan food, Sushi and Thai cuisine for the guests. After their dream wedding, it's back to work for Mahesh who left with wife Lara for Dubai for the Dubai Open.